The demolition of the former Poletown neighborhood to make way for the GM Detroit-Hamtramck Assembly Plant attracted national media attention. While residents in the neighborhood protested the loss of their houses, the new plant was a financial boon for Hamtramck. It was a Saturday morning when I got a call from then-Mayor Robert Kozaren. He was as excited as I had ever heard him. He swore me to secrecy and so for three weeks I sat on the biggest news story to hit Detroit – even Michigan – in ages. It was excruciatingly painful to wait, but finally he gave me the go-ahead to run it. At the time – 1980 — I was editor of The Citizen newspaper, the predecessor of The Review, and we were in a world of turmoil. Dodge Main had closed and with it Hamtramck had lost about one-quarter of its tax revenue. The city was on the verge of a financial collapse. That was the greatest crisis Hamtramck has ever faced and no one knew what to do. The state and federal governments sent representatives in as well to come up with ways to help Hamtramck survive the calamity. Dodge Main had built modern Hamtramck. 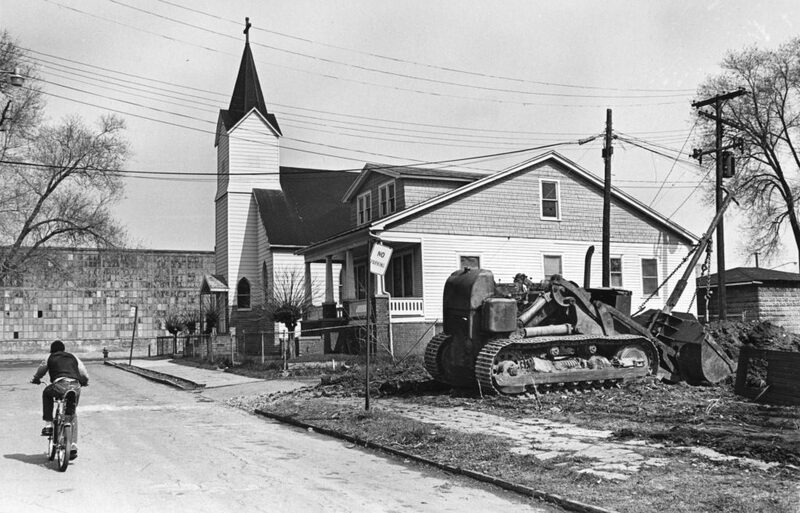 From 1910 to 1979 it was the financial foundation of Hamtramck. But with Chrysler Corporation itself facing bankruptcy at the time, it announced it could no longer afford to keep the ancient factory running. For about a year Dodge Main – which spanned 135 acres on the south end of town – sat vacant. It was a dismal time. Everyone knew that despite that feel-good public relations efforts and proposals to redevelop the city’s financial base, in fact the only thing that could save Hamtramck was money. Lots of it. And that was in very short supply. The company presented a plan to create a joint agreement involving the automaker, Hamtramck and Detroit. Together they would acquire a site, clear every building on it, including tearing up old water and sewer lines, and build a state-of-the-art auto factory that would employ thousands. 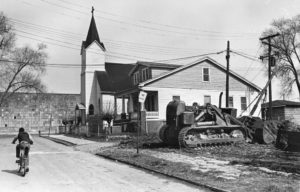 It was a monumental task that would require the demolition of about 1,500 homes and businesses, a hospital (where my mother worked) and several churches. When The Citizen came out with this story, covering the entire top of the front page, the impact was enormous. What followed was even more incredible. Almost immediately Hamtramck, Detroit and GM were embroiled in a massive legal and public relations battle that painted the three as greedy neighborhood destroyers. There were protests, pickets and auto industry critic Ralph Nader joined the fray, denouncing the plan. At one point I wrote a guest column for the Detroit Free Press to point out that while the old Poletown neighborhood was losing a lot, there really wasn’t a lot left to lose there. And Hamtramck would only have to demolish a handful of homes plus Dodge Main. And the new tax revenue would be a godsend to the city. It was a fair trade, I wrote. It took a lot of fierce negotiations and Detroit Mayor Coleman A. Young nearly exploded before finally agreeing to let Hamtramck tap into the income tax generated by the workers at the new plant, but the result is that Hamtramck ended up regaining much of the revenue the city had lost with the end of Dodge Main. In the months that followed the legal challenges were overcome and the once-mighty Dodge factory was reduced to rubble and swept away. It had been one of the biggest factories in the world. Today collectors have only a handful of bricks and bits of other memorabilia. And memories. This period was one of the most exciting in Hamtramck’s history. The city was a flurry of activity as plans were made and presented, protesters took to the streets and the city was awash with visitors and media from around the world who came this time, not to write Hamtramck’s obituary but to announce its rebirth. Back then, you didn’t dare call it “the Poletown plant.” GM, whose trademark “Mark of Distinction” phrase was twisted into the “Mark of Destruction,” was extremely sensitive of the Poletown term because of its relationship to the old demolished neighborhood. Today, it’s commonly used to refer to the plant. It’s hard to believe now that the plant is facing closure. It never did deliver all that was promised, but it did make a huge impact on Hamtramck and Detroit. And ultimately the plant may not close. Its future may actually depend on contract negotiations between GM and the UAW. And old wounds never heal. GM, Detroit and Hamtramck took a tremendous beating for what had been done to the Poletown neighborhood. People still remember. I sure do. But if there is a lesson here, it is that Hamtramck survives. It survived the end of Dodge Main and it will survive the death of the Poletown plant, if it actually comes to that.